This day that is not Good Friday, not Easter Sunday. In many respects, the Roman Catholic Church somewhat owns today in the sense that some of our best available commentary and liturgy is from Catholic sources. Today’s words are recent writings from a variety of Catholic and Evangelical sources. Holy Saturday is also, traditionally, a day of triumph. According to the Nicene Creed, Saturday is the day of the Harrowing of Hell, that spectacular event wherein Jesus descended into Hades, gathered all of the righteous people, and “opened Heaven’s gates for those that have gone before him,” in the words of the Catholic Catechism. How do we understand and observe the Day before Easter, between the Crucifixion and the Resurrection? Father Bill discusses a useful outlook and ways to remember and observe the “time in between” before launching into the 50 Days of Easter. The stone at Jesus’ tomb serves as a reminder of other elements of Christ’s life. When Satan tempted Jesus in the wilderness, Jesus is asked to turn a stone into bread (Matthew 4:3). Jesus is the bread of life (John 6:35) as well as the living Stone (1 Peter 2:4, NIV). In Mark 12:10, Jesus refers to Himself as the stone that the builders rejected, which becomes a capstone. If necessary, stones would cry out, proclaiming Jesus the King of Kings (Luke 19:40). Jesus appeared before Pilate, who sat upon the judgment seat, the Stone Pavement (John 19:13). It is not surprising, therefore, that a stone should serve as a phenomenal part of Jesus’ tomb. Upon Jesus’ death, the earth convulsed violently — rocks split, tombs opened, and bodies were raised from the dead (Matthew 27:50-54). This was certainly a prelude of things to come. To assure that Jesus’ tomb . . . and its contents . . . remained undisturbed, Pilate ordered a large stone positioned against the entrance. A sloped channel assisted the guards in rolling the boulder. A deep groove cut in bedrock at the tomb’s entrance firmly settled the stone. At the urging of the chief priests, Pilate further secured the Jesus’ tomb by placing a Roman seal on the stone, stationing four Roman soldiers at the entrance. To guarantee maximum security, every three hours fresh, alert (i.e. not sleeping as indicated in Matthew 28:13) guards would be exchanged. 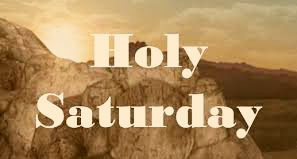 …For many centuries there was even a strict fast on Holy Saturday, permitting no food to be eaten in observance of this painful day. Many would stay in the church throughout the night of Good Friday, keeping Jesus company in the tomb. One of the reasons for this “great silence” is to enter into the pain of Jesus’ death and the loss the apostles must have felt. Think about it for a minute. While Jesus taught them continually about his resurrection, the apostles likely had some doubts, seeing the death of their master. They might have thought to themselves, “If he is the Messiah, why did he die? I thought he said he would rise from the dead?” In this way Holy Saturday is that day of doubt and sorrow, not knowing what to do or what to believe. Even the Easter Vigil begins in silence, in the complete darkness of the church. However, the good news is that Jesus, the light of the world, has truly risen and dispels the darkness and any doubts we may have had. The church erupts in pure joy at the Easter Vigil and music, bells and light lift up our hearts to God. But something is about the take place. Something is about to happen which will change the course of history. But whatever were gains to me I now consider loss for the sake of Christ. Yes, everything else is worthless when compared with the infinite value of knowing Christ Jesus my Lord. For his sake I have discarded everything else, counting it all as garbage, so that I could gain Christ. -Philippians 3:7 (NIV), 8 (NLT). Today we’re returning to Jon Swanson’s site, 300 Words a Day, and I’m taking two different devotionals and combining them into one, as he connected the dots earlier for his readers. …Paul was an amazing scholar. Paul was a remarkably religious person. Paul was passionate about his devotion to protecting the true obedience to God. He was so devoted that he arrested people who were disobedient. He was working so hard to make God happy, to satisfy God’s expectations, God’s obligations. To defend God’s dignity and reputation. Paul realized that his success had come working against God. Paul realized that God didn’t want his hard work. Paul realized that God wanted him. Relationship with him. Conversation with him. Reconciliation to him. God wanted Paul to know him. To know that the love of God isn’t measured out in scoops the size of our prayers, one act of God for each 100 or 1000 or million words from us. Paul realized that the love of God was measured out, poured out really, in the resurrection and the death of Christ. That love drew Paul in. Paul made it his life’s work to abandon his own reputation-seeking. Paul made it his life to live in the middle of God’s love for him, God’s love for us, God’s work for us. He was devoted to God, like a baby is devoted to her mother. But unlike a whining, helpless baby. Like a person rescued from death is devoted to the rescuer. Wanting to know how to help, how to serve, how to care. But unlike a rescuer who is called to be a rescuer, like an EMT. A friend and mentor and provider and lover who rescues you at great personal cost, for the sake of having you close, helping you grow, drawing you into the family. If we understood the graciousness, the opportunity, the gift, to be more than nothing, to be a pauper welcomed as royalty, to be a reject welcomed as family, we might, like Paul, reject what we thought mattered and do everything possible to learn about the new house, the new kingdom, the new relationship, the rescuer. …I talked about Paul’s abandonment of reputation-seeking in response to Jesus’ invitation to relationship. It’s a story related to an act of devotion that happened less than a decade before Paul’s decision. There was a party to celebrate the resurrection of Lazarus. Jesus was the special guest. Martha was hosting. Lazarus was there, talking to Jesus. In the part of the dinner when people were talking and listening to Jesus and having a good time, Mary got up from her place and got a container of perfume and poured it on Jesus’ feet and, rather than using a towel to clean it up, got so low to the ground that she used her hair. Because it wasn’t. Even if you weren’t an embezzler, this was a poor use of money. The perfume could have been sold. Mary could have earned a million points for serving. If the use of money is to earn points. But what if Mary was grateful to the only man who ever treated her with respect, treated her as a person, listened to her, wept with her, defended her, and then raised her brother from the dead. What if she was so grateful that being reasonable and earning points was the last thing on her mind. What if showing her love in the most extravagant way she could think of was to go to her room, get the perfume, and pour it out? Her savings. Her assets. Her treasure. As Judas said, this was a year’s wages, poured out in service of Jesus. A remarkable action of love. Here’s what I’m thinking. I’m thinking God loves our extravagant imperfect devotion more than he expects our hesitant attempts at perfection. Rather than worrying about how much we should pray or read or help the poor, what if we forgot what we did and what we had to appease God for. And what if we loved extravagantly right now. Today we’re back once again with Kentucky pastor and counselor Josh Ketchum. Click the header below to read at source. Beware! He Can Burst Out! The inspired writer uses this repetitive phrase to make a clear point–God will burst forth in anger and judgment upon people. When Uzzah and David sinned by violated God’s law they experienced the breaking out of God. When David obeyed God, then God broke out against his enemies. There seems to be two clear points from this narrative. First, beware! God is not a puppy dog figure or a tender grandfather in the sky. He is the awesome Creator, King, Judge, and Law-giver. In His great mercy and long-suffering He contains His anger, but there are limits. When we as an individual or as a people go beyond those limits, He will break out against us. Second, recognize you want to be on God’s side. When David obeyed, God’s anger burst forth against his enemies. When David disobeyed his anger burst forth against him. You don’t want to be on the opposite side of God! His blessings and protection are wonderful, while His wrath is mighty to be feared. What’s that one concept people need? There is one super important concept that is necessary in understanding the Bible. Without this concept the Bible is confusing and unable to be properly understood. Without this concept these topics are misunderstood. Why did God destroy the entire population with a flood? Why did God destroy Sodom and Gomorrah? Why did God require detailed animal sacrifices for forgiveness? Why did God give many commandments, even odd dietary laws? Why did God command Israel to annihilate so many of the Canaanites when they entered the promised land? Why did Jesus get upset at the desecration of the money changers in the temple? Why did the Son of God have to die on a cross? Why is there a promised judgment? Why is heaven promised to the saved, while hell is the punishment for the lost? You can list most any question the newcomer to Scripture asks. Any odd topic the world misunderstands about the Bible is at least in some part related to this one thing. What is this one important key to understanding all Scripture? The One Thing You Must Understand to Get the Bible! This is our sixth time taking you to the writing of Lori Thomason at Pure Devotion. Click the header below to read at source. Click here to read her story. Matthew 5:14-15 (NLT) “You are the light of the world—like a city on a hilltop that cannot be hidden. No one lights a lamp and then puts it under a basket. Instead, a lamp is placed on a stand, where it gives light to everyone in the house. Leaving church trying to wrangle our crew, a woman approached me who I had not met before. She introduced herself to me and proceeded to tell me that I radiated “light”. I honestly do not remember exactly her words because any form of compliment makes me extremely uncomfortable. I shifted the attention to her daughter who was a blouse similar to mine. Smiling and waving awkwardly on my part, I got in the car to leave. This is exactly what I want people to see in me even though the whole situation made me uncomfortable. I need to hear that the Light of His Love is shining through. There are seasons when our light doesn’t seem to be as bright as it should. Or even worse, when it feels like no matter what you do the projection is not quite right. You feel hidden from the world and lost in your calling. To feel inadequate, insignificant and ineffective in our mission is discouraging. Am I the only one today who feels hidden sometimes? You are the light of the world—like a city on a hilltop that cannot be hidden. The Light of His Love has changed my life. It has infiltrated me and constantly transforming the old woman into a new creation. It is not easy to live a life of exposure. Constantly peeking into His Word and pursuing God in prayer is a place that my inadequacy and insignificance seem magnified. How can a God of such goodness give me amazing grace? He loves me. He wants me. He is for me. Jesus died for me. He rose again for me. He made me victorious giving me unprecedented favor. Still there are times when I do not feel like a bright and shining light but a candle barely maintaining a flame. The story of David is one of hidden potential. David was the youngest in his family so the chances of him receiving the father’s blessing were not in his favor. Too many in line before him. He was relegated to a field to tend sheep. He spent countless hours worshipping God in his hiding place as evidenced in his writing. He also encountered some challenges namely a lion and a bear threatening the flock. He obliged them with death. In a simple task, taking his brothers some lunch and checking on their wellbeing, his hidden potential was revealed. David was a warrior. He was a champion. He was a future king. Who are you today? What potential is hidden inside of you? Are you ignoring it? Luke 8:46-48 (NLT) But Jesus said, “Someone deliberately touched me, for I felt healing power go out from me.” When the woman realized that she could not stay hidden, she began to tremble and fell to her knees in front of him. The whole crowd heard her explain why she had touched him and that she had been immediately healed. What if you are not hidden but in hiding? Oh, this is pretty good too. The woman who had the issue of blood. Years of isolation, pain and suffering decided to seek out Jesus. She did not call from the side of the road like blind Bartimaeus. She did not make a scene. She got on her hands and knees crawling through the crowd just to touch the hem of his garment. When Jesus felt power leave Him, He asked, “Who touched me?” The woman fell silent and tried to stay hidden. When the woman realized she could not stay hidden, she forever became a light for all to see. Are you hidden by God on purpose until it is time for your release? Or are you staying hidden on purpose imprisoned by doubt and fear? I wonder also if this woman was a Jew and knew that her belief in Christ and healing would make her subject to her religion and possible persecution. Why risk it? What is keeping you hidden today? Is it the Lord? Or is it you? Mark 4:22 (NLT) For everything that is hidden will eventually be brought into the open, and every secret will be brought to light. In my younger days, this scripture was often leveled as a threat. God knows everything. You cannot hide from God. Everything is “naked and exposed” before His Eyes is a huge detriment when you know what the hidden sin is in your life. But that is not the context of this verse at all for the believer. It is a promise. A precious promise. Yes, God sees the sin in our life. He offered the perfect solution for it. What God is after is the potential placed inside of us before our birth in the midst of creation. 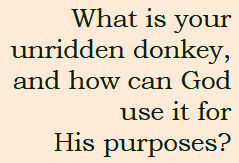 (Psalm 139:16) He longs to reveal the mysteries and secrets hidden from the adversary yet still on reserve just for you. You may feel hidden. Isolated. Alone. But what if you are really being transformed and protected by the Hand of Your Loving Father instead? What if He is working out the details of your perfect release into the calling and purpose that leads to full satisfaction and complete contentment in His Son – Jesus Christ? He is keeping you in His Care so that when you are ready and the time is right – you will walk into the promise unhindered. This is excellent news and a precious promise for every believer. King Nebuchadnezzar was a hot head for sure. He had disturbing dreams and demanded his magicians, enchanters, sorcerers and astrologers tell him what he had dreamed and why. The dream deeply troubled the king. When these “wise” men could not oblige the king, he ordered for the execution of all “wise” men. Well, this became a problem for the Hebrew men because though not involved there was guilt by association. So Daniel told the men to “to ask the God of heaven to show them his mercy by telling them the secret, so they would not be executed along with the other wise men of Babylon.” The Lord responded telling Daniel the interpretation of the king’s dream. Daniel’s response is noted above in Daniel 2:20-23. God is all wisdom and power in our life as believers. His Son, Jesus Christ, gives us access to righteousness to restore our relationship as Children of God giving us access to His Kingdom and all that is within it. We can ask God to reveal deep and mysterious things to us and He will. He will provide light for our darkness with a simple request of childlike faith. God desires to bring you out of hiding and showcase the glorious light within us. No matter if you are hidden in Him or in hiding yourself, the Lord knows exactly where you are and is working relentlessly to expose the Light in you and reveal your purpose to you. He never grows weak or weary. His Grace is always sufficient in releasing His Power in our every weakness. When the time is just right, God will set your light on the hill just as His Word promised to do. In the meantime, you must trust the Lord. Trust in His Word. Trust His Will. Trust His Timing. He hasn’t forgotten you. He is keeping you safe and secure for destiny today. Ask the Lord to share His Secrets and Mysteries to you. Stop and listen for His Voice. Write down what He says, it will be a place to rest your head when the enemy tries to keep you up with lies. The darkness is not a scary place for the light. Light drives out darkness every time. You are a Child of God full of His Love which always produces light. If you see light in someone else, tell them. Sometimes it is the spark that keeps them moving in the right direction! The woman who came and spoke to me today had no way to know that her words touched a weary heart. My mission in life is to share God’s Love and the “Light” inside of me that is for them, too. I often have shared that if I could just open my heart and let people see what Jesus has done inside that they would want Him, too. She was a light to me today and a reminder that just because I cannot always see the light, I can always be the Light! Today marks the beginning of Year Ten here at Christianity 201. The first article was posted on April 1st, 2010 in an attempt to keep a Biblical focus, and differentiate this writing from Thinking Out Loud, which deals with faith-related issues, Christianity and culture, and current events. Thanks to all of you for your support for the past nine years. A tree might look healthy because it is leafy green, but if its purpose is to bear fruit, all that greenery counts for nothing. As true as that principle is, it’s also possible for one person to be the planter, or the pruner; while someone else entirely reaps the harvest or collects the fruit. One of the frustrations of online ministry is you don’t always get a lot of feedback; neither do you see the people who are being influenced by what is posted each day. Statistics report that several hundred people land here each day, but I have no idea if the readings are helpful; if they like the videos; if they enjoyed checking out a particular writer’s website. It’s also possible that many readers find a website which especially resonates with them and end up making that their daily habit instead of this. Of course, that result was built into the design of this page. There is so much Christian writing available; some of it relates more to intellectuals than those less educated; some to women more than men; some to people of certain denominational persuasions more than others. …4 When one of you says, “I am a follower of Paul,” and another says, “I follow Apollos,” aren’t you acting just like people of the world? One of our former pastors would constantly say, “It takes all kinds of churches to reach all kinds of people.” In today’s world, it also takes all types of websites, blogs and forums to reach out to an internet-wired world. But as I write this, it’s true that I often long to hear reports of the fruit of this ministry in the lives of readers. I believe strongly that while we all may be instrumental in the discipleship process of people in our sphere of influence, we should also be know the joys of being reapers of the fruit of ministry. We should all experience Paul-Timothy mentoring relationships. We should all know what it means to reproduce ourselves in the lives of others and even the next generation. 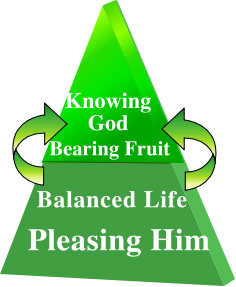 Ask yourself: Are my efforts for the Kingdom of God bearing fruit, or just putting out leaves? The Lord and the gospel writers have addressed the need for believers to be participants in the accomplishment (completion) of their own salvation (Phil 2:12), active in kingdom building (Eph 2:10; 1 Cor 3:14), and true to Christ through the representation of his likeness within them. (Mt 9:16; 1 Pet 2:12) They have also revealed consequences for those who are complacent or “lukewarm” in their walk. Christ did not come with the limited purpose of offering himself as a sacrifice for sin. He also came to transform hearts and lives so that those “in him” would be enabled to do the “good works that he had prepared in advance for [them] to do.” (Eph 2:10) His life is to be evident in all who claim his name. They are to be his hands, feet, mouth, and heart to the people around them. They have been called to be righteous in their actions (Rom 6:18) and productive in their lives—to be found honoring his call for obedience. As Son of man, the Lord was active and driven to honor his Father, and as Christ, the Holy Spirit, he determinedly pursues personal righteousness in his own. He was not complacent as he walked this earth and will not accept complacency from his brothers and sisters. Pastors and teachers often strain to convince their congregants to become more active in ministry while at the same time offering assurance that their hope has been secured with a place waiting for them in God’s heavenly kingdom. Confession of faith may save the confessor from his or her pasts sins (Heb 9:15; 2 Pet 1:9) but it will not gain them eternal salvation which comes from a committed and obedient walk with the Lord (Heb 5:9) and through a humble and loving relationship. There will be no room in God’s kingdom for those who entertain a life of complacency. At the final judgment all will be accountable for things done while in the body, whether good or bad (2 Cor 5:10), and their fate will depend on that which is written in the books (Rev 20:12−13), the testimony of their lives. To read all of Russell’s contributions here at C201, click this link. There is also an extended article at this link. Yes, Judgment Day is our deadline for getting our respective acts together. And we don’t know whether our individual judgment days will fall at the End, or in the next several seconds once that runaway truck plows into us. But Jesus didn’t come to earth to judge, but save. Jn 3.17 The Pharisees still had time to repent. Many did. The bit where Jesus used the adjective τυφλοί/tyflí, “blind [people],” a lot is in Matthew 23, when he denounced Pharisees who couldn’t fathom how their loophole-ridden teachings were ruining their relationships with God. If you wanna see what a blind guide looks like, this would be the passage which explains just what Jesus is thinking. For those who think that Aaron’s golden calf was an historical event in Israel’s past, they should think again. The problem is that the calf is being worshipped so much that people do not recognize it as an idol. I have been admonished by people because my words are not often seen as uplifting, not affirming the assurance of their eternal hope. Over the years I have been told to present a word more supportive and encouraging concerning their spiritual state. Like Balak, they seek a blessing even though their living may be in defiance of truth. Aaron should have known better. His claim was that because they were “prone to evil” he had fashioned the calf. There is no evidence that he had tried to resist. The people had wanted the idol, so he had complied with their wishes. He did not defend God or righteousness but had submitted to their wickedness. He asked for their gold and fashioned a calf. This practice is certainly prevalent with many televangelists today. Give them your gold and they will fashion a god to your liking. They assure their audience that this (their created god) god is the one who will bless them. Unfortunately, many teachers and spiritual leaders are also of this faction. When fear of man supersedes fear of God, the line has been crossed and the golden calf is being shaped. Aaron did not hesitate to encourage their delusion. He pronounced, “’These are your gods, O Israel, who brought you out of Egypt.’ And when Aaron saw this (probably that it pleased them), he built an altar in front of the calf and announced, ‘Tomorrow there will be a festival to the Lord’.” (Ex 32: 4−5) He tried to restore them to God, but he did not destroy their idol. Consequently, after presenting their fellowship offerings they ate and drank and indulged in revelry. Fear of God had left them. The Exodus of Israel was not pleasant. They had been taken into the desert for testing by God, so that he would know what was in their hearts, whether they would keep his commands. (Deut 8:2) The Old Testament reveals God’s history with the Israelites as he tried to forge attitudes of obedience and righteousness in their relationship with him. Because of their weakened, “sinful nature” (Rom 8:3) he could never accomplish it; he was unable to overcome their love for other gods and the rule and accommodation of their flesh. There are many “Aarons” who have taken and are taking the gold of the people and are fashioning an idol that pleases the people. The sinful nature thrives on approval and on being appeased. When even false blessings are promised, people will gather to enjoy the hope given by the idol that has been fashioned. They do not want to hear about God’s righteous judgment, of the need for the obedient living that restricts their life choices. They want a god who is accepting of their right to self-rule and who offers encouragement concerning their practices, and who even promises an eternal hope despite their disobedience. They want good news as they see it. “For a time will come when men will not put up with sound doctrine. Instead, to suit their own desires, they will gather around them a great number of teachers to say what their itching ears want to hear.” (2 Tim 4:3) These teachers will suffer the destruction that is promised to those who present “destructive heresies, even denying the sovereign Lord who bought them.” (2 Pet 2:1) “While people are saying, ‘Peace and safety,’ destruction will come on them suddenly.” (1 Thess 5:3) It may do well to remember that while God loved Moses, most of the people did not, and only one of the first generation who had been redeemed from Egypt (the world) entered the Promised Land; the rest died in the wilderness without passing the test. The gospel is a gospel of hope, but it is an eternal hope not one that promises peace and enjoyment from this world. There are many cautions that need to be realized and personal issues to be overcome if a person is to become an acceptable offering to God and to gain his kingdom. Those who seek a “golden calf” to provide comfort in this world, like the rebellious Israelites, will only reap destruction. (Gal 6:7) When God returns who will he find worshipping him in truth and obedience, and through trials? Who will you be found bowing to a golden calf? The one who gives an answer before he listens–this is foolishness and disgrace for him. Seven is the perfect number (or so it is said) and this is our seventh time featuring the writing of Shane Idleman, founder and lead pastor of Westside Christian Fellowship in Lancaster, California. Today’s devotional is from Shane’s personal blog, click the title below to read at source. How can you know that anything is true? If Christianity is not true, it is not truly compelling. So if we can’t know anything to be true, how can we be sure Christianity is true? Whichever you would choose, these are two approaches to truth today. There are those who get all philosophical about truth and say “We cannot be sure of anything, so don’t tell me about Jesus.” Then there are those who could care less; “It just doesn’t matter, so don’t tell me about Jesus.” Are they correct? How do we know that the entirety of our lives is not just some big dream and we will wake up some day to an entirely different world? How do we know we are not stuck in some sort of matrix kept alive by machines or aliens in state of dreaming as in the Matrix movies? Can we be 100% sure Christianity is true if we cannot be 100% sure anything is true? Can we be certain beyond all possible doubt? Pilate knew enough to be able to form an opinion and make a decision. This is how we live. I had a scary experience many years ago. The roads were icy and I lost control of my car causing me to be on the wrong side of the road. I did not take the time to ponder if in fact it was all a dream, or that possibly the truck bearing down on me was just a hallucination, or a trick being played on me by aliens. After all, anything is possible. I knew I was in trouble, I made the right decisions and got the car under control again. This is how we live, not knowing things beyond a possible doubt, but knowing them beyond a reasonable doubt. We make decisions all the time, not because we can be 100% certain we are correct, but because it is reasonable to assume that we are. All those who saw Jesus risen from the dead were ordinary people experiencing the extraordinary person of Jesus in ordinary ways. They could be as sure of him as they could be sure of anything. Sure you can always say “it was possible that the risen Jesus was actually an alien imposter,” for anything is possible. But we don’t live that way. Neither did people 2000 years ago. They knew beyond a reasonable doubt that this was the risen Jesus. The truth of Christianity continues to be beyond a reasonable doubt in our day. We will be looking at some reasons to think so in the weeks to come. So can we know anything? Yes, we reasonably know things to be true, but . . .
We live as if truth matters, a lot. Back to my scary experience in the car. I knew that moment could have changed my life for the rest of my days, if I had any more days left in this life. Reality matters! What is true with respect to Jesus matters incredibly. Grasping the reality of Jesus is not the same as forming an opinion on whether Coke is a better cola than Pepsi, or whether the Boston Bruins are a better team than the Toronto Maple Leafs. It is more like grasping the reality of a truck bearing down on you. It impacts every moment of your future. Why do people often live as if truth matters, but when it comes to spiritual things, it suddenly does not? You could say it matters more! Truth matters and spiritual truths matter, a lot. Why has truth been challenged in our day? Deceit and deception are at the heart of the Fall as described in Genesis chapter 3. Adam and Eve were deceived, and in that deception sinned creating a wedge between themselves and God. There are deceptions today which keep that wedge in place. For example, that knowing truth is impossible or does not matter. Deceit and deception also run through the trial and crucifixion of Jesus. Pilate was being deceived by the ones who wanted Jesus dead. Pilate was not totally deceived by them, knowing that Jesus was innocent of their accusations. However, he failed to recognize that the deception mattered. He thought his relationship with the people under his charge was more important the his relationship with the one now under his judgement, the One under whose charge he himself was. Deception ran through the Fall. Deception ran through the trial and crucifixion of Jesus. Don’t let deception run through your life! God is love. That is a truth which can be known and which matters more than anything! 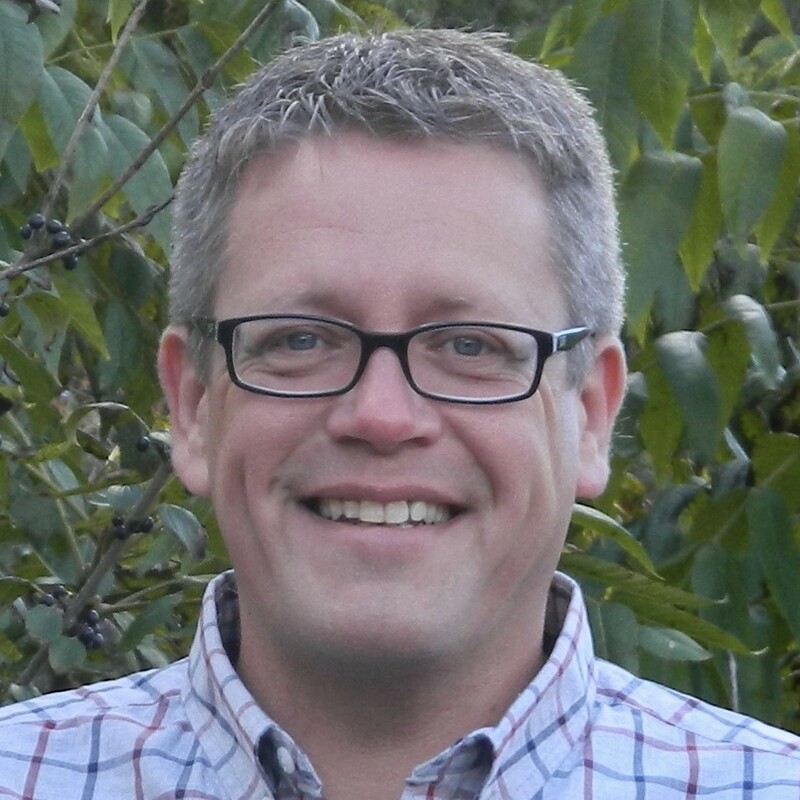 Clarke Dixon is a pastor in Ontario, Canada. All Scripture references are taken from the NLT. This is part of a series called “Compelling” which begins here. The full sermon can be heard on the podcast here. 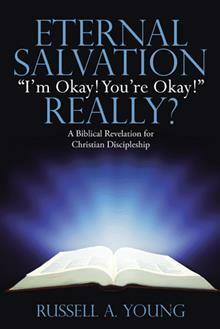 Again we’re back highlighting The Life Project written by Don Merritt who is currently in the book of Philippians. If you’re looking for more in your Bible study time, this will be an excellent overview of one my personal favorite epistles. Paul has been telling the Philippians that he is rejoicing because as a result of his imprisonment the gospel is being preached in Rome, and now he continues his thoughts on that subject. It would seem that there are people who are preaching the gospel with impure motives, that they would like to stir up trouble for Paul. He hasn’t told us exactly how this would happen for him, so I will leave the speculation to others, but let’s be honest; there are those today who preach for the wrong motives as well. I have seen and heard of some who preach out of envy and rivalry, have you? I have seen some who simply can’t stand the thought of anybody else serving Christ in that way, who are always afraid that someone might supplant them or their ministry. Maybe they are afraid for their job or their position, or maybe they just have a sense of inferiority. Whatever the reason, they are only good “team players” if everyone else is on their team. It’s sad really, for it should never be this way in the Body of believers, for all of us are on His Team! Most that I have seen, however, serve out of goodwill. As Paul has noted here, they serve out of love for others. As Paul put it, they know that he was put here for the defense of the gospel. Yes, isn’t that why all of us are “put here”? “Selfish ambition” may be a reason that many preach, thinking that they can “be somebody” by attracting followers, just as a celebrity might attract fans. This sort of thing has no place in the church, and yet perhaps it is more common than we might like to admit. Paul recognized the situation, and while he did not endorse false motives in any way, he saw that good was coming out of it in spite of everything. What did it matter anyway? For whatever reason, the gospel of Christ was being proclaimed, and that is the most important thing. Have you noticed how Paul views things? He isn’t overly concerned with his unfortunate circumstances, he isn’t overly concerned that everything isn’t always ideal, his sole concern is that the gospel of Jesus Christ goes forth so that some will be saved, that their sins may be forgiven, and that they may inherit eternal life. I wonder, is there a lesson in this for us today?